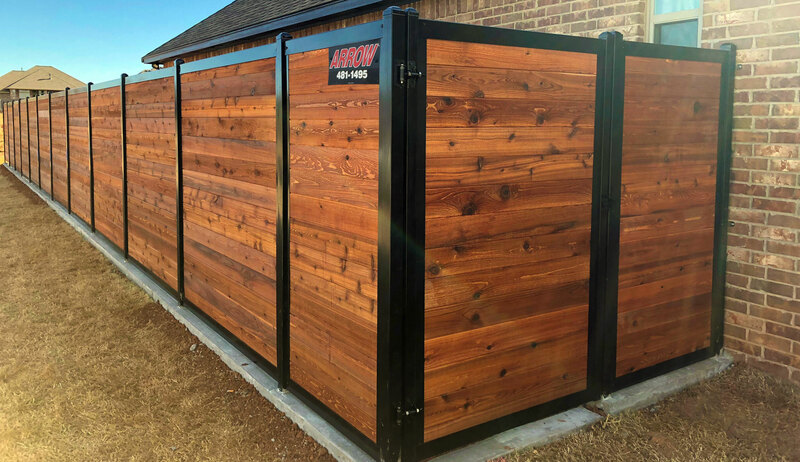 Arrow Fence Company serves Tulsa and surrounding communities with fence design and construction for residential and commercial property owners. Family owned since 1979, Arrow Fence Company has built a reputation based on quality, reliability and follow-through. We know you have a choice among several good fence companies in Tulsa, and for that reason we work hard every day to continue delivering creative fence solutions for a fair price. Some of the area’s most trusted home owners and property owners have trusted Arrow Fence Company. Below is a sampling of the types of fences we build. If you need a fence, we can build it.